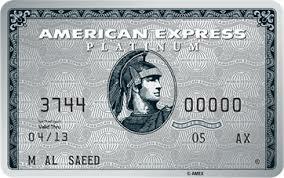 One of the key benefits of The Platinum Card from American Express is the travel insurance that comes with it. It covers a lot of people – the cardholder, supplementary cardholders, their partners and dependent children under the age of 25, whether travelling together or alone and whether on business or leisure trips. If you hand out your supplementary cards wisely, you can cover a lot of people. My Mum had a supplementary card on my account for many years until she reached 70, which is the cut-off point. You are not FULLY covered however …. Since the last ‘refresh’ of The Platinum Card, it has been necessary to pay with an American Express card in order to receive the full insurance coverage. ….. then it was necessary to have paid on an American Express card as long as the hotel or airline accepted it. For medical and other ‘big stuff’, you are covered irrespective of how you paid for your trip. It is only claims under the categories above which require you to have used an American Express card. But which card did you have to pay with? This is the key bit. Here is the new insurance document dated March 2019 (PDF). Turn to page 6 and look at the definition of ‘Account’. It says that you must now pay on The Platinum Card to be fully covered by the insurance. 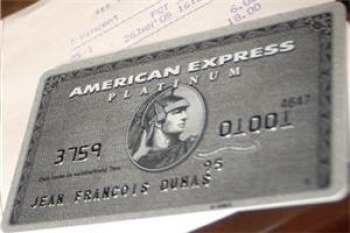 You will invalidate your claim if you pay with a British Airways American Express Premium Plus, or a Preferred Rewards Gold (which offers double points for airline spend and double points abroad), or a Starwood Preferred Guest American Express (which offers double points at Marriott hotels). According to the rules of the insurance, American Express has to give you 30 days notice of any changes. Whilst the new policy is in force for new cardholders, no existing cardholders have yet been notified of the change as far as I know. Until you receive a letter, you have nothing to worry about. There is a chance that American Express will not change the terms for existing cardholders, although I consider that unlikely. What is NOT clear to me is what happens to existing bookings. If you book a British Airways flight today on your Premium Plus Amex, purely because you know you will still be covered under the Platinum insurance, what happens if / when American Express gives you 30 days notice of the change? Is your existing trip still fully covered or will Amex impose the new rules? Has American Express made any other changes to the insurance? I don’t know. If / when we are officially notified of the changes to our own policies I would expect Amex to include a list of any other changes. Last time I had an Amex Platinum I enquired on insurance for an upcoming holiday which had already been prepaid prior to me having the card (or paid on a non amex) and was told I was covered by the policy. I assume this has stopped also? Rob do you have contacts in Amex? Interesting. I just logged into my Amex account to have a look. The T&Cs on the Amex site itself (under Platinum benefits > Insurance & Protection > Worldwide Travel Insurance) are the ones that someone linked above with the old wording on card definition. However, if I click on the ‘Make a claim’ link (in the same section) to get to the Amex Insurance Centre (still hosted by AXA, weirdly), then the doc there is the new one that Rob has linked. I’m guessing letters will be coming out shortly. Not really. Just use your amex plat if concerned. The reason it goes to Axa is that the travel policy continues to be underwritten by Inter Partner Assistance in Dublin which is an Axa company. Amex dont do insurance. Clicking through from my Platinum site to read the ins doc, it has changed to Chubb. The T&Cs have changed too. Online chat with Amex Neil who says they won’t have changed the T&Cs without notifying me. They have not done so. Now looking at a prices of a separate travel insurance policy as I don’t like the idea of completely untraceable changes to policies that result in me being uncovered when I believed I was. No point in arguing the toss after the event as Amex can afford a better lawyer than me. If nobody else has done so already, perhaps worth totting up the cost of the individual elements of the Amex Plat benefits we all use? CDW/Liability car hire stuff, medical insurance, Priority Pass…. A car excess policy is about £50 per year, travel insurance £110 for one I’m happy with, number of times I fly when lounge not included would be maybe 4 or 6 visits a year, mostly on connecting internal flights so I could live without that, but at the moment I’m happy to keep the Platinum as long as the offers add up. So far this year I’ve had around £500 back without varying my spending too much, so for now I’ll certainly look at a stand alone insurance policy but keep the card. Amex offers at least 600GBP saved/…..
Hahaha love it Harry – hope you’re having a good time at your place in the sun! I rang up fishing for a retention bonus and was offered double points for the next three months. In case anyone else was thinking about cancelling. Thanks TM, I was sufficiently annoyed at finding out that they’d messed with the T&Cs that I cancelled mine an hour ago, Mind you it seems, like 31% of males in the UK – according to Google – I’m on meds for blood pressure so I’m completely now uninsured for the whole of section 1 (Travel Insurance) anyway. I’m certain it didn’t used to read like this as I’ve been on meds for 10 years and I would have checked. So maybe before we cancel the wife’s card I’ll call in and see what they say. Shame as I’ve enjoyed some great cashback offers as Paul and others above say. But seriously, 31% of ALL males?? Surely not. Maybe attributable to a specific age group like the over 60’s or similar? – For non-Hispanic whites, 33.4 percent of men and 30.7 percent of women. – For non-Hispanic blacks, 42.6 percent of men and 47.0 percent of women. – For Mexican Americans, 30.1 percent of men and 28.8 percent of women. Then I can see where OP got the 31% stat from [High blood pressure affects more than 1 in 4 adults in England, around 12.5 million people in 2015. The prevalence of high blood pressure for adults in England in 2015 was 31% among men and 26% among women, with little change over the last few years.] – but I still don’t believe it. They said 31% of males are *on meds* for high blood pressure. Whereas I bet the majority of the 31% (the younger males, say, 18-35) aren’t on meds for high blood pressure but just go on eating high salt diets with no exercise & don’t take any meds for it at all. Please could you advise on the best way to achieve this? I have a rough idea on how I’d try it, but I’d be particularly interested in how you began the dialogue and what sort of tone/manner you deployed. The problem is uncertainty around the of scope of insurance cover, surely something no-one finds acceptable. It just occurred to me that this insurance change may be nothing more sinister than them gearing up for the time when the co-branded cards are gone. When that time comes, there would be little point in holding more than one AMEX card at a time, hence “the card” being simplified to the actual card. Following this train of thought, it will be interesting to see how the landscape will look for them. I think platinum will probably have fewer holders, even if they were to introduce some pleasant changes, due to the combination of high annual fee and what is perceived as a low on-going spend rate. Gold would, in theory, be more popular…but once the first annual fee kicks in, people will start to wonder whether it’s worth having over green. The cashback cards will probably increase in popularity, as some start to give up on points and opt for a simpler form of reward. I think that you may have a point here. So far the terms of the International currency cards (euro and dollar) have not changed. They are by definition going to be secondary cards for holders in the UK and virtually everyone elsewhere (apart from Euroland customers). No doubt as a consequence, these cards have never had the requirement that spend is on the card itself, or even on an Amex card, to get the additional benefits. I have had to point this out to the claims handlers on one occasion – but this was resolved in my favour. I will continue with my Amex dollar platinum until such time as this changes. It’s only the Travel Inconvenience bits that are no longer covered then. My terms haven’t changed yet, but if they do, I’ll just start putting flights on the Platinum. Hotels? They are normally cancellable/changeable until the check-in anyway. OT We are flying back from JFK next Saturday evening after a special trip for my partner who is recovering from cancer treatment. We are in ba club and our teenagers are in premium economy. I’ve just realised the t7 Alaska lounge closes at 5 and we fly at 7.30. Any ideas how we could all get into the ba club lounge or any other t7 lounge together? OT. We are flying back from JFK T7 next Saturday evening after a special trip with my partner who is recovering from cancer treatment. The Alaska lounge closes at 5 and we fly at 7.30pm. We are in ba club and our teenagers are in premium Economy. Does anyone have any ideas how we can gain access to the same lounge in T7 as a family? Have amex platinum and hopefully insurance cover. Given more time you could have got your partner a supplementary card. They would then receive their own priority pass allowing them to enter with their own guest. Together with you that would make 4 into the lounge. However there does not seem to be enough time plus you do not seem to be at the card address to receive the supplementary card or its pp? I am sure the idea of paying cash to enter a lounge may be abhorrent 🙂 but at this time of year a bit of googling might well turn up a discounted price for your remaining two. Heaven forbid! In today’s mollycoddled society?!?! Am surprised if they get to cross a road without taking the hand of a ‘grown-up’. If you are asking for alternatives to the Alaska lounge you are out of luck. It’s the only PP lounge at T7. You could get your kids in to the BA lounge if you and your partner were both Silver – but not by flying J without status; sorry about that. This is where Virgin beats BA hands down.